This fall semester I have been taking an elective course for my MLIS called Introduction to Information Visualization. In this course, we have explored data and information and the ways in which it can be displayed and visualized, learned how to think critically about these visualizations through concepts such as visual literacy and “graphicacy,” and been introduced to the creative leaders in the visualization field past and present. One of the many ways in which this course has been beneficial to me is in exploring how how text and visualizations can work together to illustrate and explain complicated concepts. An example from this semester was an exploration of the work of data visualization expert Lisa Charlotte Rost’s, particularly her post explaining Germany’s recent elections. 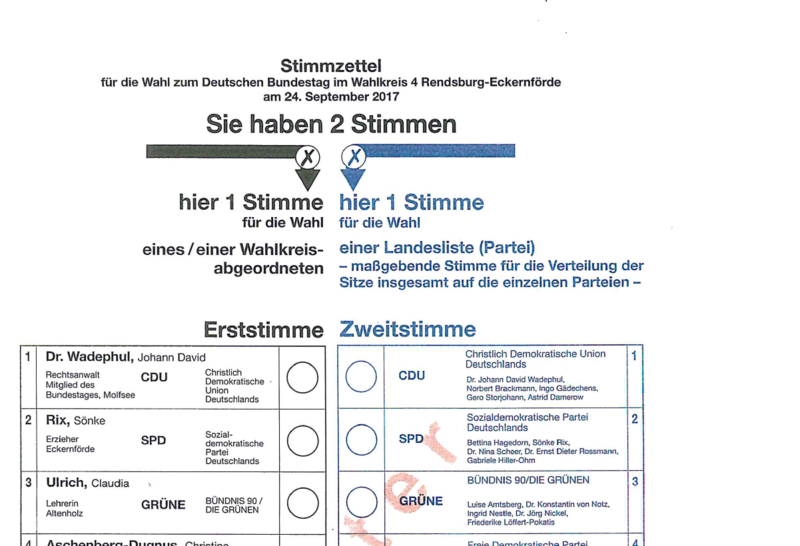 I must confess that I have not spent a lot of time contemplating the German election system. It is challenging enough to understand the American one. Since Brexit, though, the elections of European countries have taken on a heightened sense of importance. And frankly, these elections function quite differently than America’s electoral system. The concept of pulling together a coalition government is, for lack of a better word, foreign to me: and that is just one aspect of a European country’s system of government. A series of visualizations from Lisa Charlotte Rost helped make this complicated situation a little more clear. 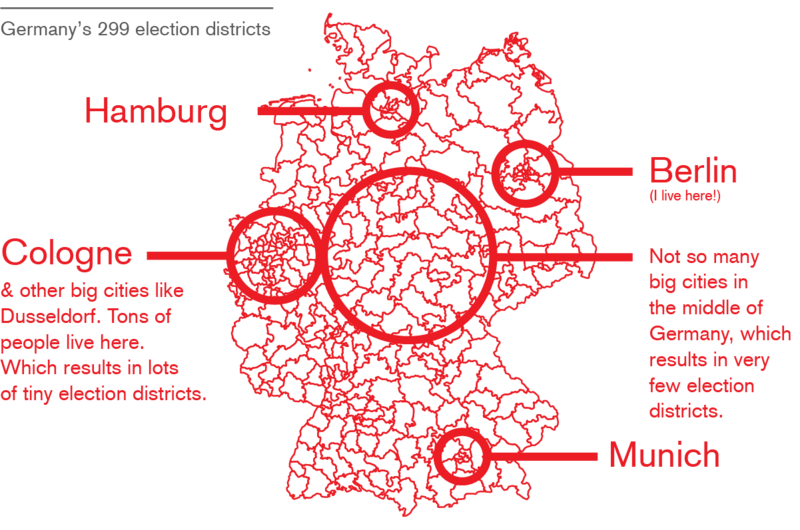 In her detailed post entitled “German Elections–The Data Vis Explanation,” Rost clearly explains a complex system with text, which is then amplified by the visualizations created for different points. If I had simply read through her post, I would have figured out the basics of the German election system and might have remembered a factoid or two from it. However, her many visualizations illustrating different points of the process are what will stick in my mind for the future when I read about German elections in the newspaper or online. The most important piece of information about the German election process is also what makes it so complex: They have a First Vote and a Second Vote. In the First Vote, the voter votes for a district candidate to represent them and in the Second Vote the voter chooses a party. A complicated process ensues to determine who from which party is allotted seats in parliament: nearly 700 seats! Rost’s visualizations explain that process clearly and simply, which was no easy task. The final major image in her post, entitled “Which Party Won How Many Seats (With First Vote),” was one that I found most interesting and useful. In this image, Rost displays each state with colored dots underneath each representing a different seat. Because I am not familiar with German political parties or states, some of the nuance is lost to me even though I understand the broad strokes of her discussion. The most fascinating detail of this image, though, is the delineation between which states are former West German and which are former East German. Even though I do not know the particulars of current German politics, knowing the broader history gives me some context with that small detail. The colored dots representing seats are the main show, but the small notes help bring it together for an American audience. One critique is that Rost could have been more clear in her explanation of the visualizations if she had used a color key. Different colors represented different political parties: instead of having one color key, she would write the word describing the political party in its corresponding color next to the visualization. While clever, a dedicated key would have been more helpful. This is an example of how noticeable a lacking small detail can be. It is important to remember these kinds of details for presenting visualizations to an audience completely unfamiliar to the topic at hand, as is the case here. Simply because a code or key is obvious to the creator does not mean it will be obvious to the viewer. Visualizations do not have to stand alone. The accompanying text, article, or story can be the most important element with the visualization playing a supportive role. In this case, the visualizations were the key to the article, yet would have been impossible to understand without context and explanation. Further, the little details matter immensely, both when they are added and when they are missing or unclear. Rost’s work has given me new insight into how to pair visualizations with important textual information.